Rubbing to edges. Spine and corners bumped. Spine and covers creased. A tale of wizards, dragons and terrifying shadows. The young wizard Sparrowhawk, tempted by pride to try spells beyond his powers, lets loose an evil shadow-beast in his land. 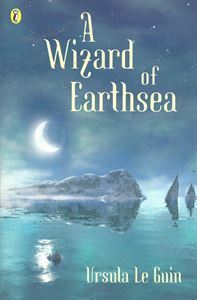 Only he can destroy it and this quest leads him to the farthest corner of Earthsea.